Demand Reconsideration of Marijuana Decriminalization Ordinance in Easton, PA! 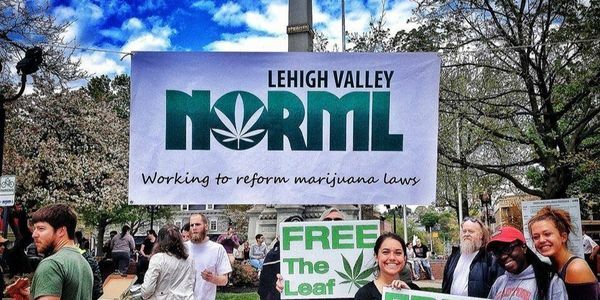 Lehigh Valley NORML encourages citizens of Easton, PA to sign this petition, urging Easton City Council's reconsideration of a citywide marijuana decriminalization ordinance. Other Lehigh Valley cities have passed similar ordinances, following the lead of numerous cities across Pennsylvania. Currently, an arrest for simple possession of marijuana is a misdemeanor in Pennslvania, carrying large fines, possible imprisonment, Civil Asset Forfeiture, and loss of other human rights including: public housing, voter rights, public assistance, child custody, and serving in the military. A decriminalization ordinance is a simple first step to lessen the punishment for arrests of small amounts of marijuana, lessening the charge to a traffic ticket with a small fine, or the option of public service. With the support of D.A. John Morganelli's court, Easton City Council would have a clear path to successfully enforcing a local ordinance. Such an ordinance would give law enforcement another tool, an option to do less harm.